Ever since seeing Gone With the Wind when I was nine years old, I’ve been fascinated with the Civil War era. Of course, growing up in the South, I was surrounded by antebellum homes graced with Greek Revival columns, steeped in legends that fired my imagination as surely as Sherman burned a swath to the sea. But the Civil War was more than a brother against brother fight to hold onto an archaic and brutal way of life. The Civil War furthered not only the rights of African-Americans, but those of women as well. American Red Cross founder, Clara Barton, stated that the Civil War caused “fifty years in the advance of the normal position” of women. Historian, Barbara Welters, referred to mid-nineteenth century women as “hostages of the home.” Women were supposed to be pious, pure, submissive, and domesticated. The Civil War changed that. Some women worked as nurses, a job that prior to the war was held mostly by men. The women’s rights movement flourished under luminaries such as Susan B. Anthony and Elizabeth Cady Stanton. And then, there were women who donned uniforms, disguised themselves, fought—and sometimes died—alongside men. Some were wives who couldn’t bear to be separated from their husbands. Still others saw the war as a chance for independence. It is estimated some 400 females fought during the Civil War. These women’s struggles and intrepid strength inspired the character of Union soldier, Alice O’Malley, in my historical, lesbian romance, Beguiled. The Civil War has torn Isabelle Holloway’s world apart, and now she has little help to manage her vast Georgia plantation. But when the Union Army leaves a brash Yankee Zouave behind, Isabelle is inexplicably moved to nurse this gravely wounded, startlingly beguiling soldier. 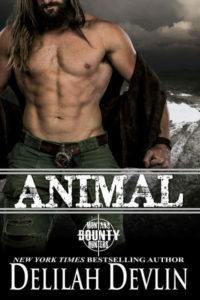 Alice O’Malley wants nothing more than to recover from her injuries, don her male attire, and rejoin the Federal Army. 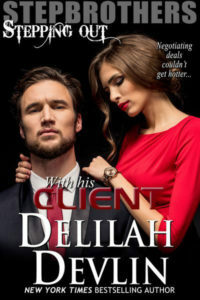 But after the alluring Southern Belle discovers her true identity, their clash of wills soon transforms into passion-filled nights in each other’s arms. Alice has been in love with a woman before, and fears risking everything for her enemy lover. As war returns to Isabelle’s doorstep, Alice discovers the wounds of the heart are far more vital to heal than the wounds of the flesh. With a sigh, Isabelle ventured into the room and sat on the edge of the bed. “Are you feeling better? Do you still have fever?” Before she thought better of it, she touched the back of her hand to Alice’s forehead. She was cooler than before but still warm to the touch. Alice froze. Her eyes widened and the look of shock in her blue eyes caused a strange fluttering in Isabelle’s stomach. Alice’s stare captivated Isabelle’s, refusing to relinquish its hold—direct, penetrating, seeming to take her in all at once. The innocent touch suddenly became charged with something akin to lightning. Something too intimate. Dangerous. Shaking herself into motion, Isabelle withdrew her hand and brushed her hair back toward her chignon. Even though she curled her fingers into a loose fist, she could still feel the ghost of warm, dewy skin. She rubbed her palm on her apron, wishing she’d checked her reflection in the mirror. Her nose was probably red. Tear stains doubtless shone on her face. Heat rose and settled in her cheeks under Alice’s piercing stare. “After the emancipation proclamation was issued, I felt I needed to help right an injustice.” Alice’s hint of a brogue overshadowed the meaning of her words. One corner of Isabelle’s mouth twitched as she fought off a grin. It irritated her that she found humor in the thought of a woman—this woman—fooling so many men. But she did. Alice raked a trembling hand through her short hair. “A good many other Irish were in it. I knew they’d accept me. Besides, the uniform concealed…more.” With that, her plush lips curled up on one side in a smile that sent a jolt of something Isabelle couldn’t define straight to her pantalets. She swallowed, instantly dismissing the unwelcome sensation. “Laws of mercy! You’ve all but ruined your chances of making an advantageous marriage.” Heat crept up her neck. Her pulse accelerated and she didn’t know why. Perhaps merely because the idea of wearing a man’s clothing, of pretending to be one, seemed so taboo. So decadently sinful. “Married? Me? Oh no. I’ll never stand at the altar. Of that you can rest assured.” Alice dismissed that idea with a wave of her hand. 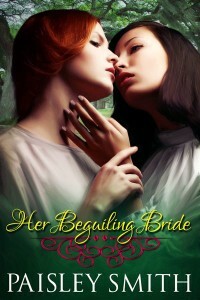 Be sure to pick up a copy of the novella length sequel, Her Beguiling Bride! Three years have passed since Isabelle Holloway gave her heart to Alice O’Malley, the brash woman Union soldier left on the doorstep of Isabelle’s Georgia plantation. Now Reconstruction Era taxes threaten their home, and Isabelle must decide between the female lover whose touch sets her flesh and soul ablaze, or a cold marriage to a wealthy man and an even colder bed. In hopes of saving the plantation, Isabelle and Alice travel to Savannah where doors close at every turn. Until Alice tenders a scandalous proposal that could cost them everything…or offer them the love of a lifetime. 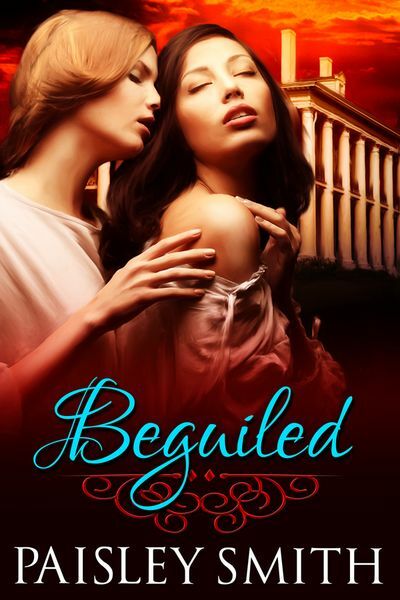 Leave a comment to be entered in a drawing for a copy of Beguiled! Print or ebook, winner’s choice.